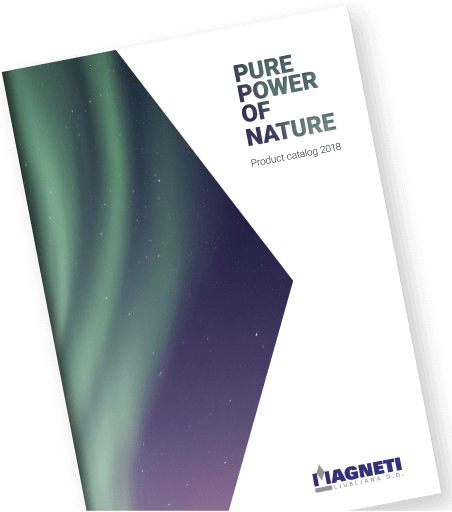 Similarly to cast AlNiCo magnets, sintered AlNiCo magnets have also been part of Magneti Ljubljana’s production for decades. Market proven proficiency in production of this type of magnets ensures fulfilment of any customer’s specific requirements. 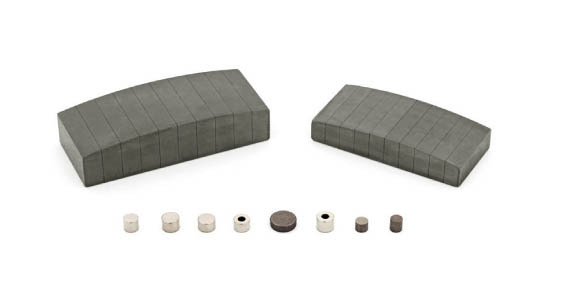 Sintered AlNiCo magnets are prepared by compacting powder mixtures with defined chemical composition and grain size distribution in a press and then sintering in vacuum sintering furnaces. 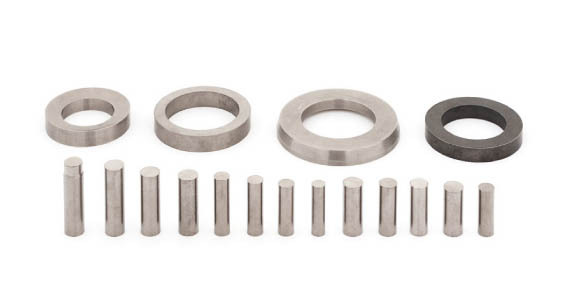 Due to slightly lower physical density, sintered AlNiCo magnets in general have slightly lower magnetic properties comparing with the same grade of Cast Alnico magnets. 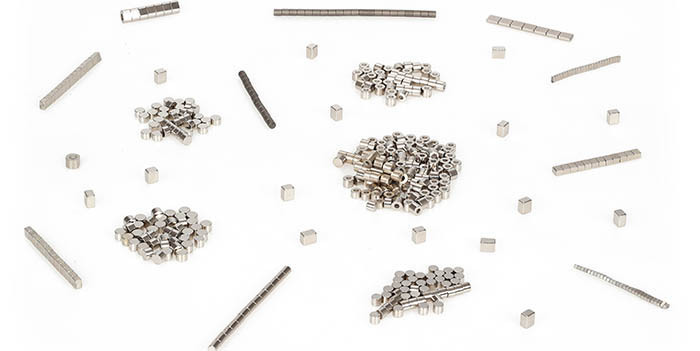 However, due to the different production process, they can be manufactured in more complex forms, and from an economical point of view, sintering technology is better suited for manufacturing smaller sized AlNiCo magnets. 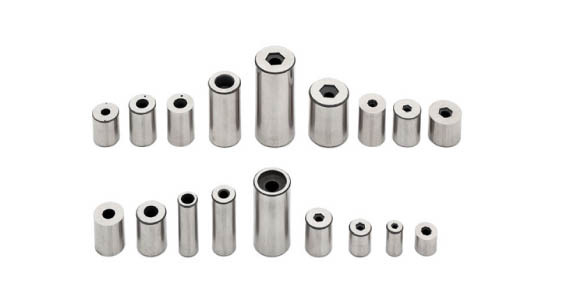 Within the range of AlNiCo magnets, magnetic properties can be adjusted according to the customer’s requirements, taking into account the general limitations. The main advantages of cast AlNiCo magnets are high maximum operating temperature which can reach more than 500°C and also very good corrosion resistance. Casting is best suited for simple forms and larger dimensions. Sintered SmCo5 magnets are produced in a similar way as Sm2Co17 magnets, yet they have lower magnetization and also slightly lower maximum operating temperature. 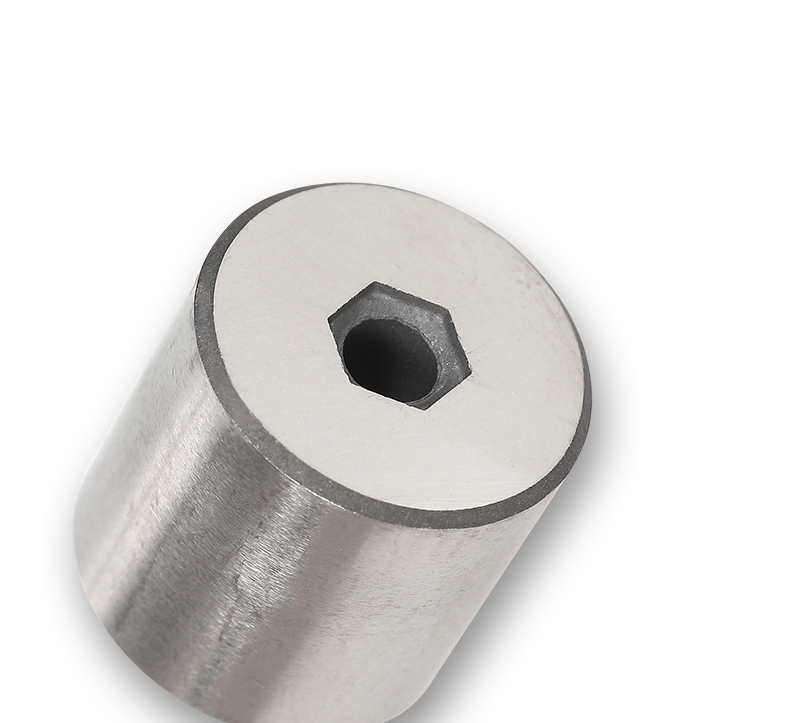 SmCo5 magnets are best for applications where only low magnetization fields can be applied andwhich still require quite high temperature stability. SmCo magnets (including Sm2Co17) have much higher coercivity than AlNiCo magnets. This means that they are more resistant to demagnetizing fields. On the other hand they have still significantly higher maximum operating temperatures than NdFeB magnets.